At BergaMet North America, we are strongly committed to protecting your privacy. You can navigate the majority of our site without giving us any personal information about yourself. However, sometimes we need additional information about you in order to provide the information or services you are requesting. Your privacy is important to us. To protect your privacy, we provide this notice explaining our online information practices and the choices you can make about the way your information is collected and used. To make this notice easy to find, we make it available on every page of our site, particularly at every point where you may opt to provide us your personally identifiable information. This notice applies to all information collected or submitted on the BergaMet North America Web site. We collect information only on “Contact Us” forms where you can ask an BergaMet North America representative to contact you in order to answer questions or provide specific information. The personal information you provide on these forms may include your name, title, company name, address, contact numbers, and email. However, only your name and email are required in order to meet your request. We store the information you provide about yourself in a secure database in order to provide you with the information, products, and/or services you request. The information is stored for the lifetime of the database unless you request that it be removed. The information you provide us about yourself will be shared with BergaMet North America employees to the extent necessary to accommodate your request. You must consent for us to share your identifiable information with third parties, who would be bound by a confidentiality agreement. For example, if you provide your name, mailing address, telephone and email address and request more information about BergaMet North America services, this information will be shared with appropriate BergaMet North America personnel to fulfill your request. This information will not be shared with any outside third parties without your consent. Finally, unless otherwise excepted below, we would not use your personally identifiable information provided to us online for purposes other than those you requested without also providing you an opportunity to agree or otherwise limit such unrelated purposes. Please take a few minutes to review these Terms and Conditions. Your purchase of products from us constitutes your agreement to these Terms and Conditions. These Terms and Conditions May Change – Bergamet North America reserves the right to update or modify these Terms and Conditions at any time without prior notice. For this reason, we encourage you to review these Terms and Conditions whenever you purchase products from us or use our Web Site. We accept orders via our website at BergaMet North America and accept payment with the following credit cards only: Visa, MasterCard, American Express and Discover. Credit card orders must include the account number, the account name on the card, along with the billing address (for credit card verification), expiration date and security code on the back of the card. Credit card orders are pre-authorized for payment before shipments are packed; credit cards are billed at the time of shipment. Sales tax will be charged for orders in the states of South Dakota and Nevada in the United States, the current sales tax rate will be determined by your shipping address. Orders are processed and shipped within 3 days once the order is received. We make every effort to maintain inventory to fill orders as quickly as possible, however occasionally an item(s) may become oversold and result in a back-order. We will ship the available portion of your order and ship the back-ordered item(s) as they become available. We will happily exchange or refund any unopened bottles with 21 days of receipt of purchase. All returns for reason other than defect or damage are subject to a 25% restocking fee plus all freight charges. Due to health and safety reasons we cannot issue refunds on opened bottles. Defective Product – Any product that is received with defect in material or workmanship may be returned for exchange within 3 days of receipt. Please return the item in its original unused condition and in the original packaging. Please contact customer service. A replacement will be shipped immediately. Damaged Product – Any product that is received with visible damage must be noted by the delivery service upon receipt. Any concealed damage must be reported to our customer service department within 3 days of receipt. We cannot accept returns for any reason without a Return Authorization issued by our customer service department. All returns for reason other than defect or damage are subject to a 25% restocking fee plus all freight charges. Please be aware that we cannot be responsible for any damage that is caused by you or an animal companion to any product. We cannot honor return or exchange for any merchandise that has been used, or is not in its original, new condition. BergaMet North America warrants to the original purchaser all products to be free of defect in material and workmanship. No warranty is given or implied for durability of use or longevity as use conditions vary greatly. BergaMet North America shall be held harmless from all damages and injury resulting from the use of our products. From time to time there may be information on our Web Site or in our catalog that contains typographical errors, inaccuracies, or omissions that may relate to product descriptions, pricing, and availability. BergaMet North America reserves the right to correct any errors, inaccuracies or omissions and to change or update information at any time without prior notice (including after you have submitted your order). This Web site is a resource which is intended, but not promised or guaranteed, to be correct, complete and current. All information on this Web site is subject to change without notice. 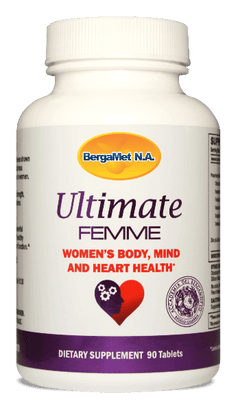 The information that appears on this Web site has been compiled in good faith by BergaMet North America solely for the purpose of providing information about BergaMet™ . BergaMet North America makes no commitment and disclaims any duty to have this material updated at all times. BERGAMET NORTH AMERICA AND/OR ITS SUPPLIERS MAKE NO REPRESENTATIONS ABOUT THE SUITABILITY OF THE INFORMATION FOR ANY PURPOSE. ALL INFORMATION IS PROVIDED “AS IS” WITHOUT WARRANTY OF ANY KIND. BERGAMET NORTH AMERICA AND/OR ITS RESPECTIVE SUPPLIERS HEREBY DISCLAIM ALL WARRANTIES AND CONDITIONS WITH REGARD TO THIS INFORMATION, INCLUDING ALL IMPLIED WARRANTIES AND CONDITIONS OF MERCHANTABILITY, FITNESS FOR A PARTICULAR PURPOSE, TITLE AND NON-INFRINGEMENT. IN NO EVENT SHALL BERGAMET NORTH AMERICA AND/OR ITS RESPECTIVE SUPPLIERS BE LIABLE FOR ANY SPECIAL, INDIRECT OR CONSEQUENTIAL DAMAGES OR ANY DAMAGES WHATSOEVER RESULTING FROM LOSS OF USE, DATA OR PROFITS, WHETHER IN AN ACTION OF CONTRACT, NEGLIGENCE OR OTHER TORTIOUS ACTION, ARISING OUT OF OR IN CONNECTION WITH THE USE OF THE INFORMATION. BergaMet North America does not accept responsibility for other organisations, businesses, and private persons that may provide information on this Web site. Any links on this Web site may let you leave the BergaMet™ Web site. The linked sites are not under the control of BergaMet North America and BergaMet North America is not responsible for the contents of any linked site or any link contained in a linked site, or any changes or updates to such sites. BergaMet North America is providing these.